Subway announced today that it will expand its personalized marketing efforts to Canada, Ireland and the United Kingdom after positive results in the United States. The sandwich chain saw a domestic ROI of 10 times by partnering with mobile marketing platform Mobivity on one-to-one marketing campaigns using customer data, according to a press release shared with Mobile Marketer. Subway's intelligent and personalized marketing campaigns will be deployed in about 3,000 Canadian locations and 2,500 restaurants in the U.K. and Ireland. 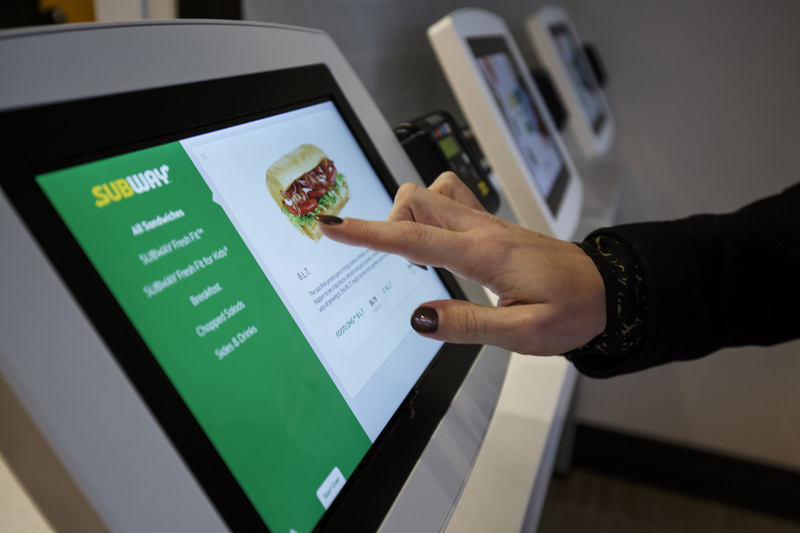 The Subway stores will use Mobility's technology to print personalized messages on customers' checkout receipts while gathering point-of-sale data about those purchases. Chief Digital Officer Carissa Ganelli said in the release that Subway's data gathering has helped to inform its marketing campaigns, and that customers like receiving customized offers based on their individual purchase history. Mobivity also has worked with Baskin Robbins, Chick-Fil-A, Sonic and Supercuts on their respective personalized marketing campaigns, per its website. Subway's U.S. results have demonstrated the effectiveness of personalized marketing and hint at its promise in other markets. Collecting individual point-of-sale data is a necessary step in maintaining longer-term relationships with customers as they visit brick-and-mortar stores. Brands can use the purchasing data to hone their marketing efforts based on customers' individual habits and response to personalized offers, including ones printed on checkout receipts. Urging repeat store visits with discounts and other relevant offers has proven to be one way to build loyalty and remain top-of-mind as the quick-service restaurant space grows increasingly crowded. Social networking giant Facebook found in a survey that 83% of people pick a dining location within three hours of a meal, and 57% make the decision within one hour, pointing to how consumers may be more likely to select a dining location based on current deals. Subway, which is looking for a new CMO after Joe Tripodi retired last month, is working to expand its service to cater to young adults who are more likely than older consumers to use mobile devices for food ordering. Almost half (43%) of commuters said they use a smartphone for shopping and ordering food more frequently than they did two years ago, according to a Fetch survey. Subway in October partnered with four of the leading third-party food delivery services: Grubhub, DoorDash, Uber Eats and Postmates in response to consumers' rising demand for convenience in the dining space. The sandwich chain's entry into the booming delivery game began at 9,000 of its nearly 26,000 U.S. restaurants, with plans to expand the efforts. Subway is among the QSR brands like McDonald's and Dunkin' that have integrated mobile technologies into its marketing programs, including customer loyalty apps. The sandwich chain last year introduced a rewards program in the U.S. and Canada that offers flexible points for repeat customers to accrue and redeem. Subway's mobile app lets customers enroll in the Subway MyWay Rewards program and manage their points to receive discounts and other special offers.